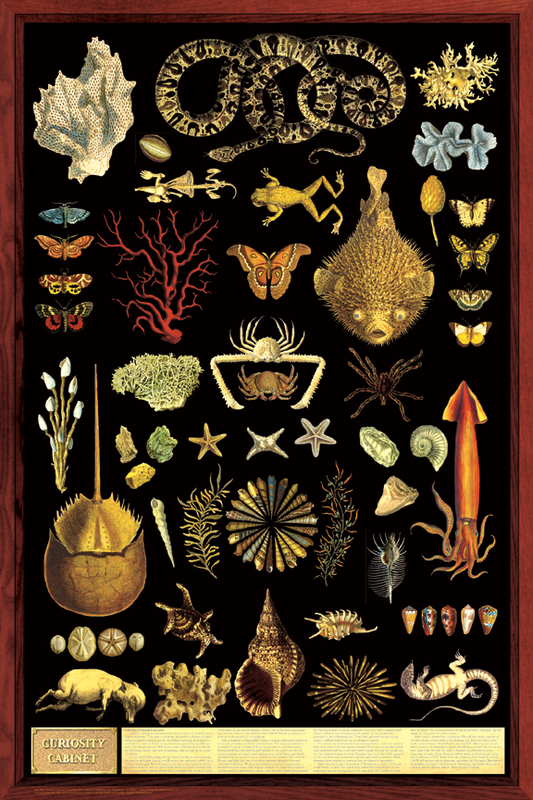 Cabinets of natural curiosities were the precursors of today�s natural history museums. Essentially, they were collections, displayed in cabinets, of interesting specimens found in nature. They first appeared around 1500 in the courts of Italian princes. By the beginning of the next century, they were quite popular and were found throughout Europe. Great care went into selecting a diverse range of subjects. They include shells, coral, insects, reptiles, fish, crustaceans and many other natural curiosities. They are presented within a simulated �cabinet� border, permitting everyone to have their very own curiosity cabinet.